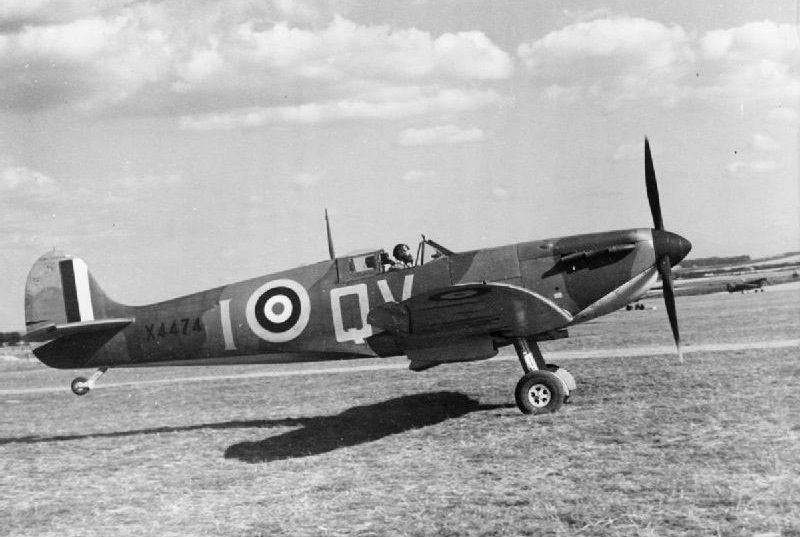 Bijschrift bij deze IWM foto: "Spitfire Mark IA, X4474 ‘QV-I’, of No. 19 Squadron RAF, taking off from Fowlmere, Cambridgeshire, with Sergeant B. J. Jennings at the controls." (IWM Photo CH1451). 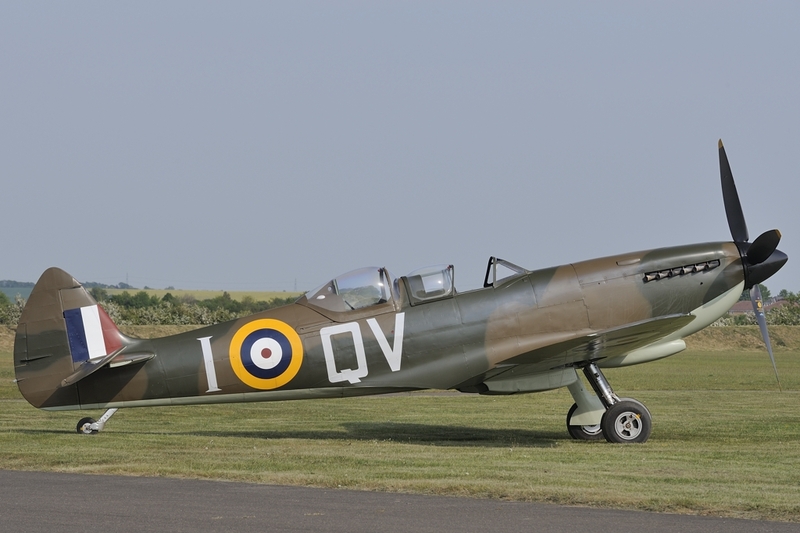 Foto rechts: PV202 in de kleuren van Spitfire I X4474. With Vickers-Armstrongs on 190750 for conversion to Type 509 for IAC as '161'.